For a different experience in Turkey than the busy city life of Istanbul, Kusadasi is well worth a visit. And with Cruise 1st Australia, you could see this and many other fantastic cities across the globe for much less than you might think. To find out more about Kusadasi keep reading, or check out some of the latest deals on our Mediterranean cruise page. 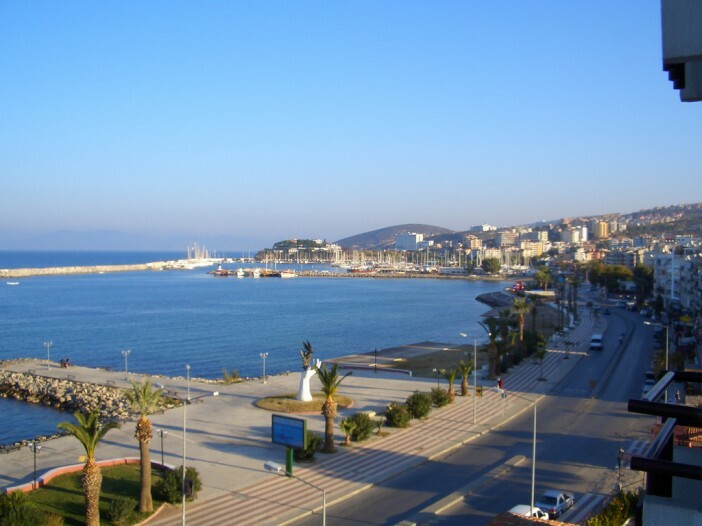 Why should you visit Kusadasi? There are many reasons to make Kusadasi a destination on your next cruise. It’s a picturesque beach resort in easy reach of many other attractions, which explains why it’s so popular with thousands of visitors each year. You’ll want to make sure you visit the ancient ruins of Ephesus, which was the second largest city of the Roman Empire. A guided tour is well worthwhile if you want to learn the history of the area. Kusadasi is also close to the Aegean Coast’s largest national park, Dilek. Here you’ll find a huge variety of beautiful flora and fauna, along with four beaches and a range of trekking routes for the keen walkers. The harbour is a fantastic visiting spot in itself, with boats travelling to the small bays and coves around the coastline. You can even try some snorkelling on some of the trips, and a delicious BBQ lunch will be served. And there’s also a range of watersports to choose from if you fancy trying something a little more extreme. Cruise lines visiting Kusadasi include Norwegian Cruise Line and Cunard Cruise Line. To find all the latest deals on cruises that stop at Kusadasi, visit our home page and use the simple search tool to find a cruise that fits your budget. You can also find some of our best deals on our Europe cruise deals and Mediterranean cruise deals page. This trip begins with a flight from Australia. Your cruise starts at Rome, and visits Livorno, Monte Carlo, Provence, Barcelona, Valencia, Cagliari, Palermo, Naples, Rome, Katakolon, Athens, Kusadasi, Istanbul, Naples and back to Rome before your return flight. After your flight from Australia you’ll begin your cruise at Istanbul. You’ll then visit Kusadasi, Santorini, Katakolon, Naples, Rome, Florence/Pisa, Monte Carlo, Barcelona, Ajaccio and finally Rome before returning home by flight. Image sourced via Flickr Creative Commons. Credit: iris.